Spinning Wheels are also known as chocolate wheels have been used at traditional fetes, fairs and carnivals for years. Just spin the wheel and see which player wins. You can now hire this item for parties and promotions and fundraisers. 1-64 and 1- 100 size wheel available. We can also supply spin tickets. 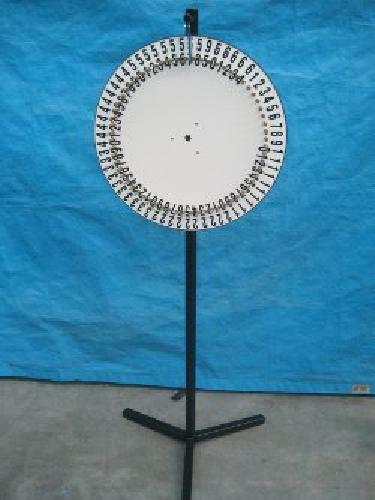 Spinning Wheel comes complete with stand.